Billy Dee Williams is an eminent actor, artist and singer, best known for his role as Lando Calrissian in the ‘Star Wars’ film franchise. Check out this biography to know about his birthday, childhood, family, achievements and fun facts about him. Also Known As: William December Billy Dee Williams Jr.
father: William December Williams Sr.
Billy Dee Williams, born as William December Williams Jr., is an eminent actor, artist and singer, best known for his role as Lando Calrissian in the ‘Star Wars’ film franchise. Born in the USA to African-American parents, he debuted in stage at the age of seven. However, his goal was to become a painter and he started acting in order to buy his art supplies while studying at National Academy of Fine Arts and Design, eventually taking it up as a career option. 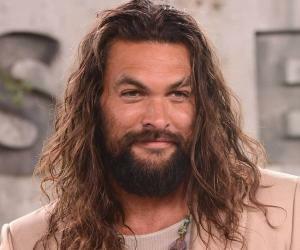 Debuting in films and television at the age of 33, he had his breakthrough at the age of 34, when he appeared in the role of Gale Slayer in 'Brian's Song'. However, it was his role as Louis McKay in 'Lady Sings the Blues', which actually turned him into a matinee idol and very soon he began to be known as the ‘Black Clark Gable’. At the age of 43, he reached the pinnacle of his glory, appearing as Lando Calrissian in 'The Empire Strikes Back'. Very soon, he also started painting, holding his first solo exhibition at the age of 56. In spite of his busy schedule, he has held several exhibitions since then. 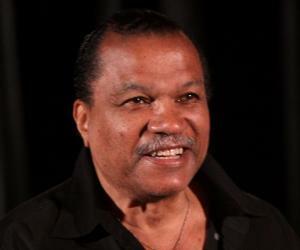 William December Williams Jr., better known as Billy Dee Williams, was born on April 6, 1937 in New York City. His father, William December Williams, Sr. was of African-American descent. Originally from Texas, he worked as a caretaker in New York City, maintaining three different jobs to support his family. His mother, Loretta Ann, an aspiring opera artist from Montserrat, Caribbean Island, worked as an elevator operator at Lyceum Theater on Broadway. He had a twin sister called Loretta. Because his parents were busy all day, Billy was mostly raised by his grandmother on 110th Street in Harlem, where people of different races used to live. Mingling with children from various race, religion and culture, he learned to think of himself as a human being, not merely as black. As a child, he often accompanied his mother to her workplace. One day, when he was seven years old, he was invited by producer, Max Gordon, who at that time was working on ‘Firebrand of Florence’, to audition for a walk on part and was selected for the job. Although he made his stage debut at the age of seven, he did not return to it until he was an adult. At home, his parents, who paid greater emphasis on culture and education, made sure that he had an ordinary, but comfortable childhood. As a child, he loved to paint and to play baseball. Once he almost broke his hand, trying to look professional baseball player. His parents actively encouraged his artistic abilities, fostering in him a love for all kinds of expressions. For his high school education, Billy entered High School of Music & Art (now the Fiorello H. LaGuardia High School of Music & Art), graduating from there in 1955. Thereafter, he earned a scholarship and entered National Academy of Fine Arts and Design, New York, with classical principles of painting. While studying at National Academy of Fine Arts and Design, he often found himself running short of money, unable to pay for his art supplies. He saw a way out when one of the producers of ‘Take A Giant Step’ asked him if he could act. Although the role eventually went to Louis Gossett Jr. he now started performing regularly on stage, still wanting to become a painter. But by late 1950s, he must have had a second thought because he started studying acting under Sidney Poitier at the Harlem Actors Workshop. Billy Dee Williams began his acting career with stage, appearing in different Broadway productions since his college days, making a splash with ‘A Taste of Honey’ in 1960. Other significant works of the decade were ‘The Cool World’ (1960), ‘Tiger Tiger Burning Bright’ (1962) and ‘Hallelujah, Baby!’ (1967). In 1959, he debuted in films with ‘The Last Angry Man’, appearing in it as a delinquent young man called Josh Quincy. However, he did not return to the big screen till 1970. Meanwhile In 1961, Williams cut an album of jazz and swing standards called ‘Let’s Misbehave’. Also in 1959, he debuted in television with 'Look Up and Live'. Thereafter, he appeared in an array of TV productions like ‘Defenders’ and ‘Another World’ (1964); ‘The Doctors and The Nurses’ (1965); ‘Guiding Light’ (1966); ‘Coronet Blue’ (1967); ‘Premier’ (1968); ‘NBC Experiment in Television’ and ‘The New People’ (1969). In 1970, he returned to the big screen with the role of Clifford Robinson, a lost and found agent in Arthur Hiller’s comedy film, ‘The Out-of-Towners’. Concurrently, he continued to appear on television in series like ‘Lost Flight’, ‘Carter’s Army’, ‘The Most Deadly Game’ and ‘The FBI’. His first breakthrough came when in 1971 he was chosen to play Gale Slayer in 'Brian's Song', a television film narrating the life of Brian Piccolo (played by James Caan). It not only established him as a dramatic actor; but also earned him an Emmy nomination. In 1972, Williams earned his first lead role, appearing as Johnny Johnson in ‘The Final Comedown’. But it was his role as Louis McKay in 'Lady Sings the Blues', a biographical drama film based on Billie Holiday’s autobiography and released in 1972, that actually turned him into a matinee idol. Williams’ role in ‘Lady Sings the Blue’ is considered a milestone as it glamorized blacks in a novel way. Hailed as the ‘Black Clark Gable’, he starred in films like ‘Hit!’ (1973), ‘The Take’ (1974), ‘Mahogany’ (1975) and ‘The Bingo Long Traveling All-Stars & Motor Kings’ (1976). In September 1976, he returned to the Broadway to play Martin Luther King, Jr. in ‘I Have a Dream’. Later in the decade he also starred in television films like ‘Scot Joplin’ (1977) and ‘Christmas Lilies of the Field’ (1979). In 1980, his popularity reached a new peak when he appeared as Lando Calrissian in 'The Empire Strikes Back', one of the finest ‘Star War’ films. Later in 1983, he reprised the role in ‘Return of the Jedi’, the final film ‘Star War’ series. In 1980s, other than the ‘Star War’ films, he appeared in array of productions, making his presence felt both on the big and the small screen, appearing in seven films, including ‘Batman’, and eleven television movies. In 1984-85, he also appeared in five episodes of the ABC soap opera, ‘Dynasty’. ‘Batman’, which was released in June 1989, was another of his blockbusters. 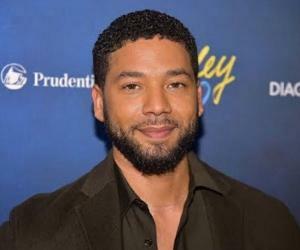 In it, he played the part of Gotham City District Attorney, Harvey Dent, modeling it on the controversial African-American politician, Adam Clayton Powell, Jr. Meanwhile in 1988, he returned to Broadway to join the cast of ‘Fences’. Also in late 1980s, he started painting once more, working all through the night to create a collection for his exhibition. In the same decade, he appeared in the television commercials for Colt 45 malt liquor; but was criticized by many in the African-American community for aggressively hawking liquor. He continued to work throughout 1990s, beginning the decade with ‘Secret Agent OO Sou’ (film) and ‘Dangerous Passion’ (TV movie). He would eventually appear in ten more films and hordes of TV Movies, among which most significant is ‘The Jacksons: An American Dream’ (1992), appearing in it as Berry Gordy. ‘Marked for Murder’, ‘Percy and Thunder’ and ‘A different World’ all aired in 1993, were his three other significant works of the decade. Also, in 1993, he held the exhibition of his paintings at the Schomburg Center for Research in Black Culture in New York City. In 2002, he had two films released, ‘The Last Place on Earth’ and ‘Undercover Brother’. Also in the same year, he appeared as Lando Calrissian in ‘Star Wars Jedi Knight II: Jedi Outcast’, a first and third-person action video game in the ‘Star Wars: Jedi Knight’ series. In 2005, he reprised the role of Lando Calrissian in ‘Star Wars: Battlefront II‘, another video game based on ‘Star Wars’ film franchise. Later, he appeared in the same role in ‘Star Wars Battlefront’ (2015) and ‘Star Wars Battlefront II’ (2017). In addition to the ‘Star Wars’ franchise series, he appeared in two other video games; as GDI Director Redmond Boyle in ‘Command & Conquer 3: Tiberium Wars’ (2007) and ‘Let It Die’ (2016). All the while, he continued to act and paint, holding numerous solo art exhibitions across USA. Among his works for television in 2000s and 2010s, most memorable are ‘That '70s Show’ (2004), ‘Scrubs’ (2006), ‘Lost’ (2007), ‘General Hospital’ (2009), ‘The Boondocks’ (2010) and ‘White Collar’ (2011). He also gave voiceover for Lando Calrissian in the ‘Back to Cool’ episode of ‘Cleveland Show’ (2011). Equally active on big screen, he had 16 films released between 2003 and 2017. He is currently working in 'Star Wars: Episode IX', the final installment of the ‘Star Wars’ film franchise, reprising the role of Lando Calrissian. It is expected to be released the USA on December 20, 2019. Billy Dee Williams is best known for his role of Lando Calrissian in ‘The Empire Strikes Back’ and ‘Return of the Jedi’. Later, he gave voiceover for Calrissian in several animated TV series and video games. In mid 1990s, he reprised the same role in the audio dramatization of ‘Dark Empire’. 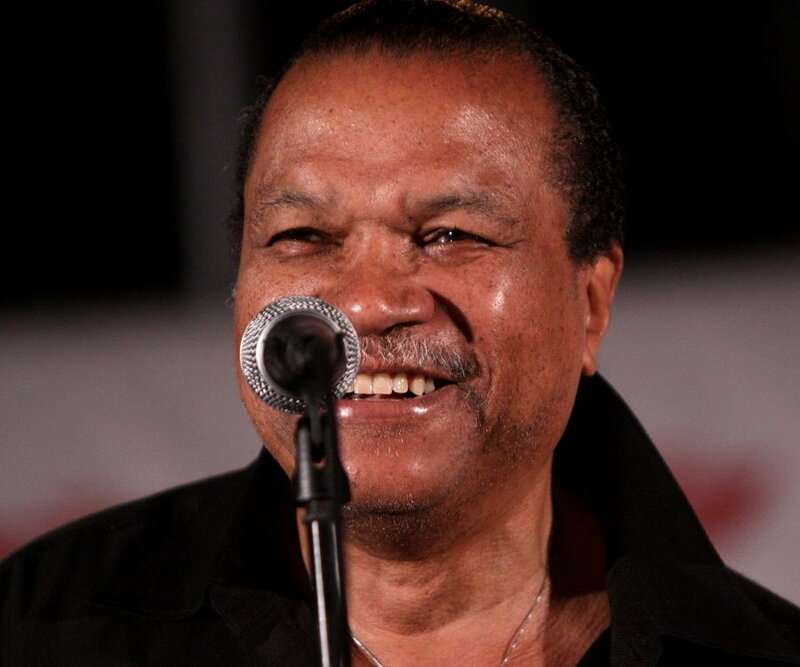 Billy Dee Williams has been married thrice. In 1959, while he was in his early twenties, he got married to Audrey Sellers, with whom he has a son named Corey Williams. The couple divorced in 1963. Corey is now a bass guitarist. In 1968, he married his second wife, model and actress, Marlene Clark, known for her films like ‘Ganja & Hess’ and ‘Night of the Cobra Woman’. The couple did not have any children and divorced in 1971. Williams met his third wife, Teruko Nakagami, who is of Japanese-American ancestry, in New York through a friend and eventually fell in love. They got married on December 27, 1972. Williams and Teruko have a daughter named Hanako, born in 1973. From Teruko’s previous marriage to musician Wayne Shorter, Williams also has a step daughter named Miyako. In 1993, the couple filed for divorce. However, they reconciled in 1997 and are living together till date. Billy Dee Williams was called ‘Black Clark Gable’ for his suave and sexual mannerism in 'Lady Sings the Blues'. Williams, who wants to be known simply as an actor, not merely as a black actor, was happy to receive the role of Lando Calrissian in 'The Empire Strikes Back', because the script did not specify any race. 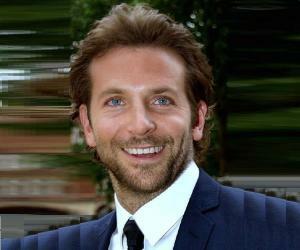 All his previous roles had been scripted especially for a black actor.